This is a key fixture as Phil Neville’s side prepare for the 2019 Women’s World Cup in France. This will be the first time the Lionesses have been to Swindon since 2013 (when they defeated Slovenia 4-0). 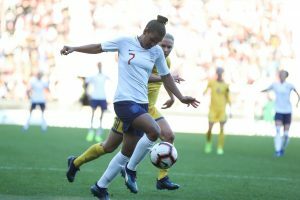 Nikita Parris on the ball during the game between England and Sweden. 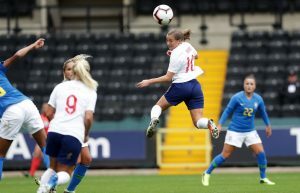 Fran Kirby of England heads the ball in.